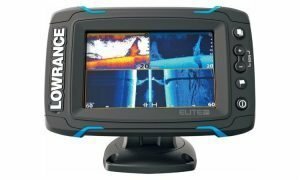 The new Lowrance Elite Ti fish finders are an exciting and affordable offering for several reasons. First, they have the easy to use touch screen operation that you normally would only find on the high end HDS units. Second, they come in either a DownScan or TotalScan bundle so you don’t have to add on any sonar black boxes to complete your system. 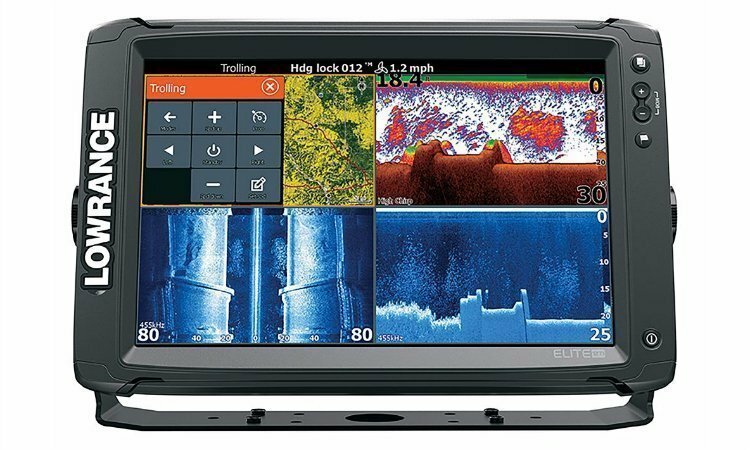 Most people will be surprised to learn the Elite Ti fish finders are actually the old HDS Gen 2 fish finders repackaged into a new body (the clues are on the Lowrance website). That doesn’t mean these units use outdated technology in any way. 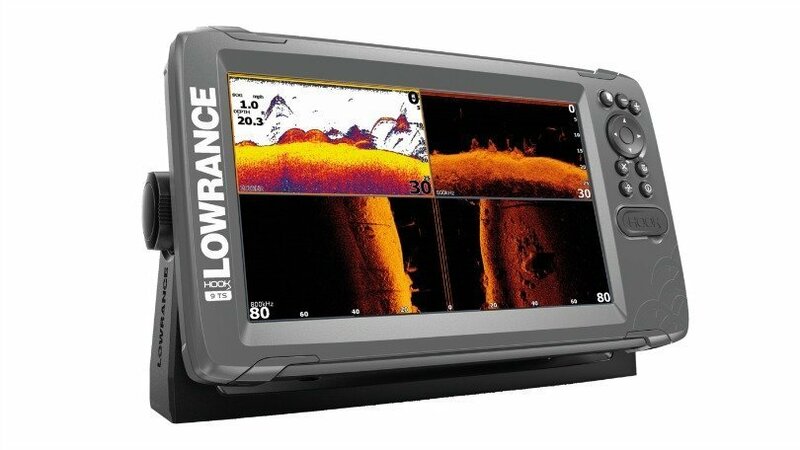 In fact, our Lowrance Elite Ti review will show you how well these units compare favorably with the competition. The Elite Ti comes in 5 and 7 inch sizes. Both are 800 pixels wide by 480 pixels tall, which is right in line with competitive units like the Helix, Striker, and echoMAP units in the same sizes. What the Elite Ti has above those other units is the touch screen interface. 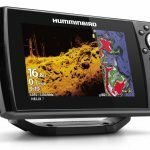 The HDS Gen II touch system has made it’s way into these new affordable units, which is great news for anglers looking for the simplicity of touch plus down and side scanning sonar. 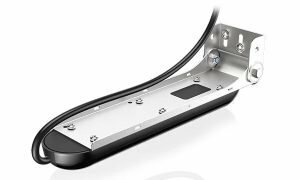 The mounting base is the simple tilt and swivel quick disconnect base that doesn’t require a lot of room to mount. 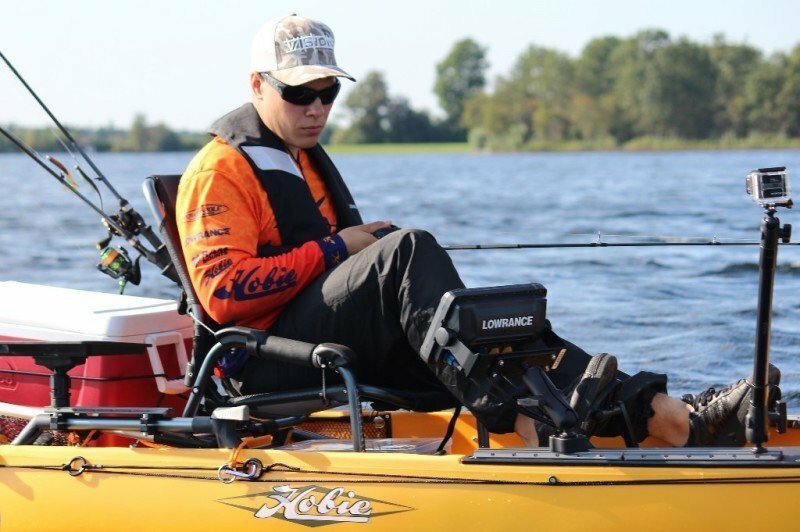 The Elite-5 Ti is really the perfect size for smaller aluminum fishing boats and bass boats, and would even make an awesome kayak fish finder. The Elite-5 Ti DownScan model comes with a skimmer transducer that performs the standard 83 and 200 kHz sonar duties, as well as the Medium and High CHIRP ranges. CHIRP is gaining in popularity for the clear targets it can create on your screen. CHIRP infused DownScan does the same thing for the imaging, and is a great structure finding tool. 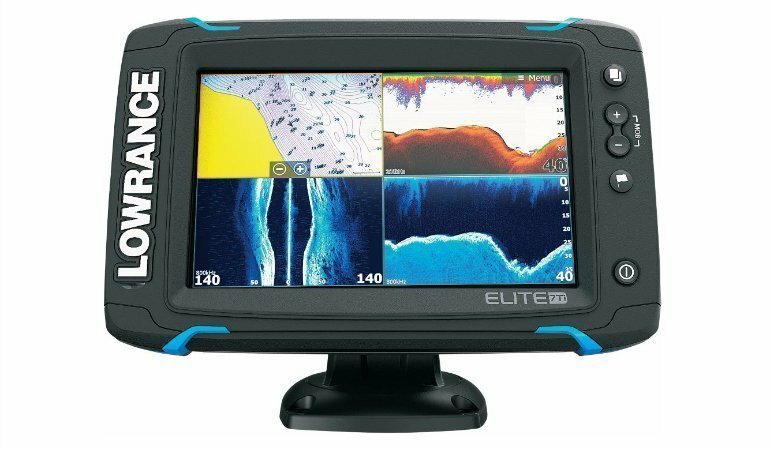 The Elite-7 Ti, like the 5 Ti, is also available in angler friendly DownScan and TotalScan bundles. 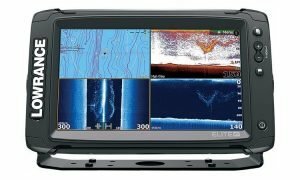 I really believe the 7 inch size is the current sweet spot for affordable all in one imaging fish finders. 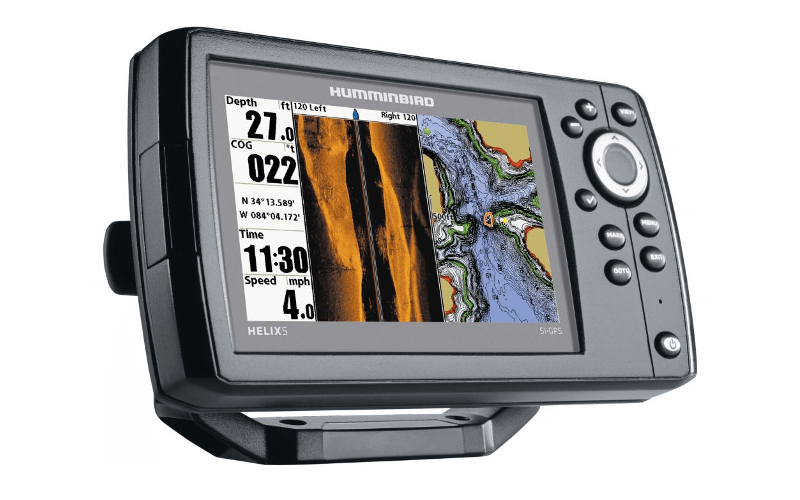 The 5 inch is just a little compact to be able to utilize split screen Down or StructureScan alongside mapping and sonar. The extra 2 inches of diagonal space give you breathing room to maximize what you can easily see fish and objects on the screen. 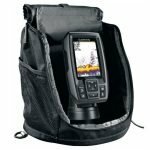 The TotalScan bundle comes packed with the new TotalScan Skimmer that has been designed to be an affordable all in one sonar and imaging transducer. This new transducer is key to making StructureScan affordable to more people. The LSS2 modules are just too expensive to try to package with the Elite Ti series. Be aware that this is a very long transducer, and make sure you have enough mounting space on your rig. It would be best suited to mount under a jackplate, or under the first step in the hull where it can’t easily be damaged by debris in the water. With the TotalScan transducer, you gain the ability to view DownScan, CHIRP, 2D, and StructureScan on your unit. These are super fun tools to learn and will help you tremendously once you get the hang of reading the images. 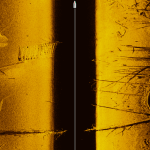 Using a split screen of Sonar/DownScan with StructureScan, you can see all the data at once and break down water faster than ever before. It’s a great time to be a fisherman! 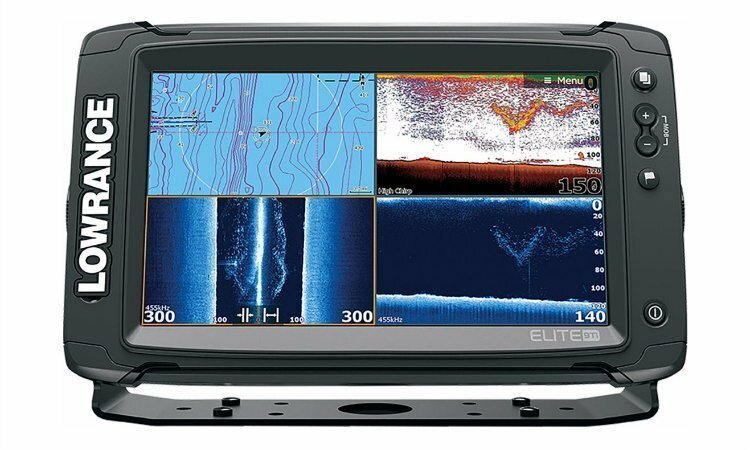 The 5 and 7 inch Elite Ti electronics proved to be so popular that Lowrance has extended the series to Elite-9 Ti and Elite-12 Ti sizes. 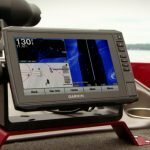 This is great news for anglers craving larger screens for their boats. The extra inches of display really make a difference when viewing StructureScan and DownScan data, especially when split screen with the map and sonar. Fish are easier to see and distinguish from other objects. The Elite-9 comes in both DownScan and TotalScan bundles, while the Elite-12 is currently only offered with TotalScan. The Elite Ti series remains some of the lowest cost touch display fish finders on the market. If you liked your old HDS units, you will be happy with the Elite Ti. If you can swing it, the Elite-12 Ti has a much higher pixel density than the 9 (800×480 like the 5 and 7), so everything looks clearer on the 12. Finally, let’s talk mapping capabilities. The Elite-5 and Elite-7 Ti, both have a single MicroSD card slot for optional lake map cards. The card slot is hidden under the “L” of the big Lowrance logo on the front left of the unit. It’s a sneaky placement, but once you put your map card in you can set it and forget it. 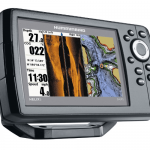 The Elite-7 Ti is compatible with Navionics Premium and Platinum, Fishing HotSpots, and more. Perhaps most importantly, the Elite Ti are compatible with Insight Genesis, the popular online custom map making program. It works by uploading your sonar recordings into the web app and converting them into contoured lake maps. Then using Bluetooth you can download the maps directly to your control head. Your maps will be publically viewable, but for just a few bucks a month you can keep them all to yourself. 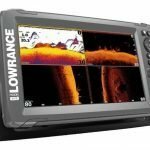 Should you Get a Lowrance Elite Ti? Pros + There is a lot to like in the Elite Ti series. 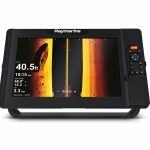 The price and feature set is aimed at getting regular folks to take the jump into an imaging fish finder. These units have the look and feel of a high dollar unit thanks to the touch screen interface and all new plastic body design. 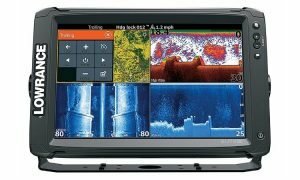 Finally, Lowrance did a smart thing by releasing a new all in one TotalScan transducer to go with the top bundles. Cons – One downside I can see to these units are the plastic mount system. For a touch screen, especially a 7 inch one, I would like a sturdier gimbal mount system like you see on the STRIKER and Helix products. Also, the MSRP of the Elite Ti is currently slightly higher than those units as well (but you get a touchscreen!). The other main drawback to Elite Ti units is the lack of networking between other unit, although at these prices neither do the competition. The Bottom Line: The Elite-7 Ti TotalScan is an excellent value for a side scanning unit, and for smaller boats an Elite-5 Ti is a very advanced unit. If you have been turned off by the expense of an HDS SturctureScan bundle in the past, you finally have an affordable alternative that doesn’t compromise at all in features. With the release of the new Elite-9 Ti and Elite-12 Ti there are now options for anglers who prefer larger screens. Affordable? Are you kidding? $800 to catch fish is not affordable to the average person. Let’s get real, no one needs these things to enjoy fishing. These are toys for the over indulgent. I will agree that prices have been inflating, but nobody is making you buy one. There are plenty of capable 5 and 7-inch units that cost less than $800, and even these lower priced units can do far more than they did 5 years ago.